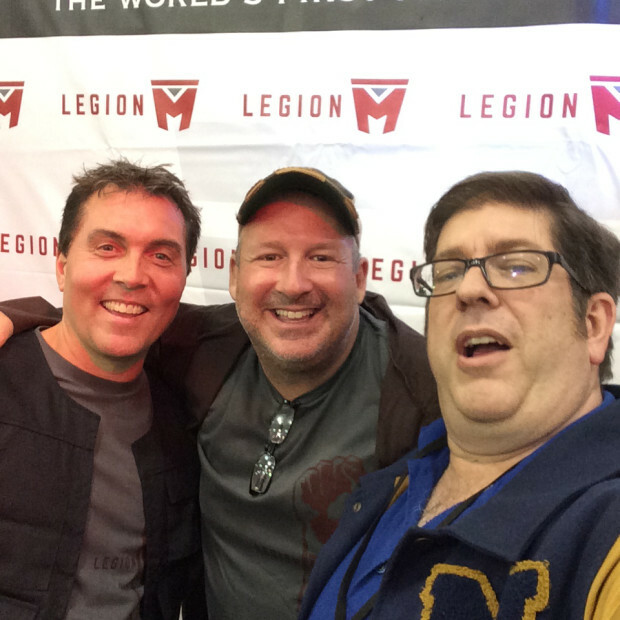 At Silicon Valley Comic Con, we sat down with Jeff Annison and Paul Scanlan, co-founders of the first fan-owned studio, Legion M. When we had our first conversation, the two were about to launch their campaign allowing fans to invest in the studio, which has partnerships with production companies such as Stoopid Buddy Studios and Meltdown. Hence, we can say with great confidence that they have their nerd credentials in place. Why did he say that? Well, read on. I had to hold on to this interview until what we discussed was revealed in the Business section of the Los Angeles Times. Legion M is using emerging technologies to not just make something cool, but preserve something for the future. And of course, somehow Stan the Man is in the middle of it. Literally. 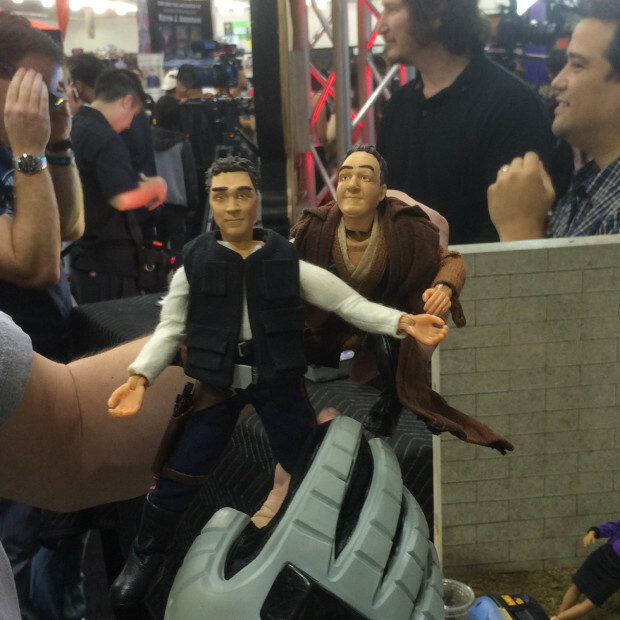 Derek McCaw: So now you’re here at Comic-Con. And Silicon Valley Comic Con was nice, but here in San Diego it’s madness. You’re in the belly of the beast. This is where the fans come. It’s Sunday. 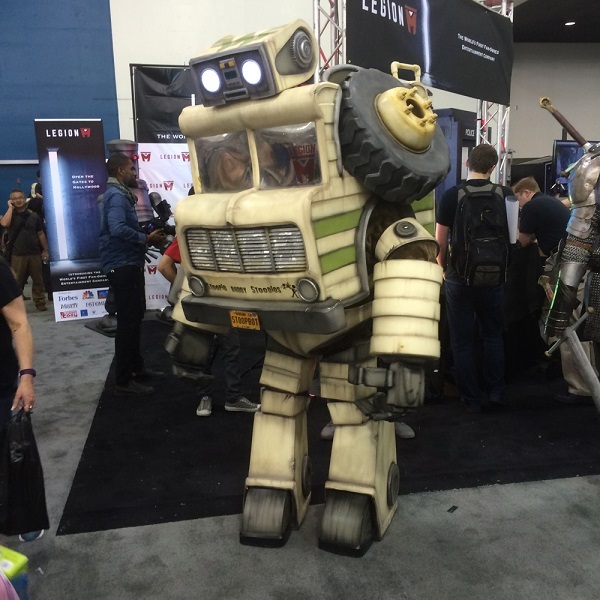 How has your Comic-Con gone? Jeff Annison: It’s fantastic. This is my first San Diego Comic-Con. Derek McCaw: This is your first one? Wow. Jeff Annison: You guys can’t see me, but I’ve got eyes as big as saucers and my jaw is agape. It’s incredible. There’s nothing quite like it, and there’s nothing, I think, that can really prepare you for it. Derek McCaw: No, there’s not. People ask me every year, “I’m going to my first Comic-Con, what should I do?” And all I can say is “hydrate?” I don’t know what else to say. And I always forget to take my own advice. But now you’re here — are you starting to put feelers out to people for projects? What’s next? What’s happening? At this point, it’s pretty even money. We should meet it, but either way, we’re playing with house money now. Because we met the minimum, which is what we needed to push the company forward. That was a huge milestone for us. Back when we saw you at Silicon Valley, it was an idea. We had a vision for it, but you never know what’s going to happen until you put it out to the market. Because what we’re doing is so new with the SEC, we got a lot of arrows in our back from being pioneers in this space. We’ve had to learn a lot of stuff and blaze new trails. It’s really made us stronger for it. If you look at our messaging and our marketing from two months ago, and our flows, and how we interact with fans, we’ve just learned. You put it out there, and you see what questions people have, you get feedback, and you tweak it. Derek McCaw: You’ve been very clearly involved with the fans. I get those regular updates and answers on their questions. Derek McCaw: The question is now, is there something going on on the horizon? Here’s the investment, now let’s see what you’re doing with it. Jeff Annison: Yes. We’re going to be announcing a project this week in the L.A. Times, and I’m afraid I can’t tell you about it because we promised the exclusive to them. Derek McCaw: What if I hold this interview, and you could just tell me now, and we can travel through time? This is actually Jeff from two weeks in the future after the L.A. Times news has broken. Jeff Annison: That would actually work! I wouldn’t do that for anybody but I know you and we’ve got history. You pinkie promise not to release this until after the L.A. Times? Jeff Annison: All right! Let’s do it. 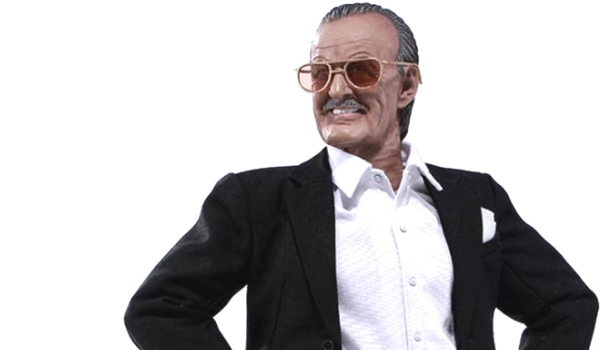 We’re working with this little-known creator, an up-and-coming, his name is Stan Lee. Derek McCaw: I think I’ve heard of him. Terri Lubaroff: A little upstart. Jeff Annison: We are doing a virtual reality experience with Stan. 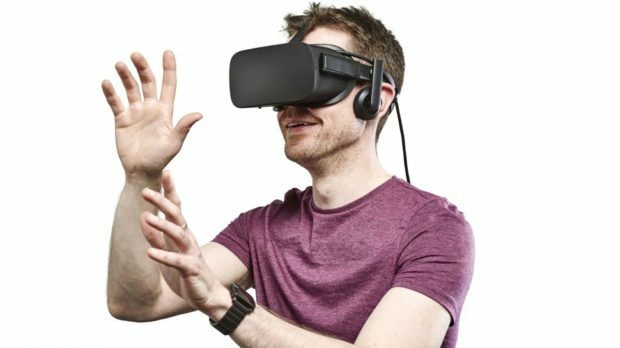 What it is, you’re familiar with virtual reality and the Oculus and all that? Derek McCaw: Yes, I am. Jeff Annison: Okay, so you know that the way it’s typically filmed is that there’s this sphere of cameras that are all pointed out that capture ten or twelve video streams, and then the computer stitches them together. So that when you put the goggles on, you can look in any direction and you can see. What we’re doing is the inverse of that. We have a subject, in this case it’s Stan Lee, who sits in a chair. In the center of a sphere with 41 4K cameras pointed at him from all angles. What they do is they capture one terabyte per minute with the video data. That all gets stitched together so you can recreate Stan in virtual reality in excruciating detail. So we can put him in a VR environment and you can get right up in his face, and you can look at him, and you can see the twinkle in his eye as he talks. The product that we’re doing, the code name for it is An Hour with Stan Lee. If you could sit down and be in the room for an hour with Stan Lee, what would that be like? We’re going to have an intimate interview. Stan is choosing his interviewer, and Kevin Smith is the guy that he’s chosen. Derek McCaw: That makes sense. 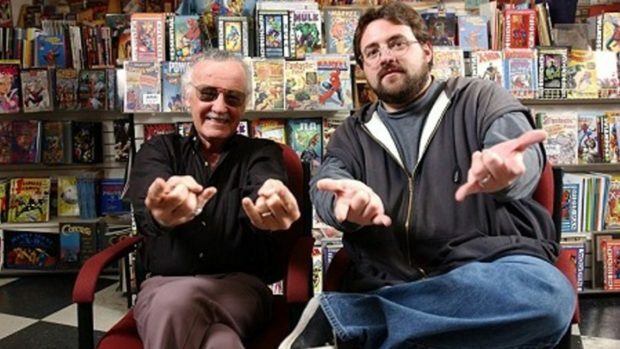 They did a documentary together years ago called Stan Lee’s Mutants, Monsters, and Marvels. Jeff Annison: Yes. The whole idea is an intimate interview with Stan Lee where we talk about his life, his challenges, his advice for creators, and the end result will be a Stan Lee time capsule that you can send to every corner of the earth. Everybody who would never have the means or the ability to be in a room with Stan Lee can be in a room with Stan Lee. People a hundred years from now will have the opportunity. Imagine if you could go back and spend an hour with William Shakespeare or something like that. Derek McCaw: I do that all the time. Derek McCaw: Yes, that we was will be were going to talk about in this interview. This sounds like groundbreaking technology. Jeff Annison: Yes. It’s not our technology. There’s a company that we’re partnering with, they’re called 8i, and they’re the leaders in this. It’s all new. Terri Lubaroff: They’ve got proprietary software and technology, and it’s amazing. Jeff Annison: It’s really incredible. I’ll tell you, it’s one of these things where the technology is only going to continue to improve. I’m sure what we’re doing right now is going to be viewed as rudimentary in a couple of years. But what’s valuable and what’s interesting to us is that, you know, Stan Lee is nearing the end of his arc, and VR is just starting its (arc). So we’re at this magical point in time where we can capture this footage, and this most likely will be the only opportunity. I don’t know that Stan has any other projects lined up like this. Derek McCaw: He’s pulling back on a lot of his appearances. He’s amazingly spry, but still… I’m sure that if you’re on top of this, then there are other creators for whom this would be a great thing to do. Terri Lubaroff: We can’t talk about who they are, but we have some lined up already. We envision this as a series that will be set in the VR universe. We’re profiling other creators and icons. Derek McCaw: There’s kind of been a joke going around fandom that Marvel should do this with Stan, and bank all his cameos in the movies for eternity. You’re basically saying, this could essentially be done. Jeff Annison: Yeah, it could potentially. That’s kind of interesting. Derek McCaw: There’s Virtual Stan. When we talked in March, the other things have to be — are there potential webseries, Stoopid Buddy was doing some animation for fun at Silicon Valley Comic Con. Virtual Stan is cool, but it’s not going to be in the reach of everyone. What is the thing that’s going to be what everyone can reach? Derek McCaw: Oh, yes, of course. But I’m still going to start the rumor that it’s Saga. Right? It’s Saga. Jeff Annison: Some of the other things that we’re looking at are some properties, some IPs, that we’re looking at acquiring the rights. You’ve got to understand that right now we’re at our lowest budget level ever. Right? We’re raising upwards of a million dollars and a lot of that has to go to our SEC filings for our next round and our burn rate and that sort of stuff. The projects that we’re looking at right now are the ones we can put a little bit of money and we can leverage our other assets. We’ve got an amazingly engaged community. We have over 1700 investors now, and it’s growing. It took us two months to get from $0 to $500k. And then it took us four days to get from $500k to $600k. So everything is accelerating. When you join and become an investor, or even if you join for free and become a member of the Legion, there’s a private members only Facebook group, which has been incredible. Legion M, I think, represents a lot of things for people. On the one hand it’s a real swing for the fences investment opportunity, right? You get to play in venture capital, and if we hit it big, you could hit it big. We take that seriously. It means a lot to us. We had a shareholder meeting yesterday, just a meet up, and we told people “we raised $140 million, Paul and I did, for mobi.tv.” And we feel way more sense of responsibility and anxiety for the $100 investments from our friends and family and fans. Because it’s different. You’re dealing with VCs, they’re professionals, they’re sharks. That’s that world. But these are people that are investing their money because they believe in us, and we take that very seriously. What’s interesting is that when you talk to the fans who have already invested, and when you see how vibrant this community is, even though we only started that Facebook thing about a month ago… there are people there. They had a meet-up in New York City, fifteen people showed up and came out. We didn’t plan it. We didn’t organize it. Just one of the investors said, “I love this community, why don’t we get together and meet face to face?” She booked a restaurant and made signs. They had fifteen people, and other than us buying the first round of drinks — we called the bar and had them buy drinks for everybody — it had zero involvement from us. This is one of the things… that the power of the Legion is the community itself. Derek McCaw: I like that we get to say that… “The Power of the Legion.” Do we get flight rings? I’ve probably made that joke before, but seriously… do we get flight rings? Jeff Annison: The community can be bigger, much, much bigger, than just the company. So that’s it! Derek McCaw: I look forward to our next conversation. You energize me every time we talk. Jeff Annison: Thank you so much. Derek McCaw: This is Derek, signing off from two weeks in the future.